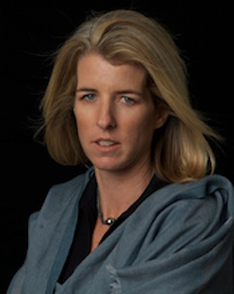 Rory Kennedy is an Emmy Award winning independent documentary filmmaker, as well as cofounder and president of Moxie Firecracker Films. Her films cover an array of issues ranging from poverty to politics to human rights. Her work has been shown on HBO, A&E, MTV, Lifetime, and PBS. Her most recent project, Ethel, premiered at the Sundance Film Festival 2012, and was nominated for 5 Primetime Emmys. The feature length documentary is Kennedy’s most personal project to date, providing an inside look at the remarkable life of Ethel Kennedy, Rory’s mother and wife to Robert F. Kennedy. Ethel was broadcast on HBO in 2012. Kennedy has directed and produced more than 25 documentaries including Ghosts of Abu Ghraib (Primetime Emmy Award winner for Best Non Fiction Film, 2007); Thank You, Mr. President: Helen Thomas at the White House; American Hollow; A Boy’s Life; and Pandemic: Facing AIDS.